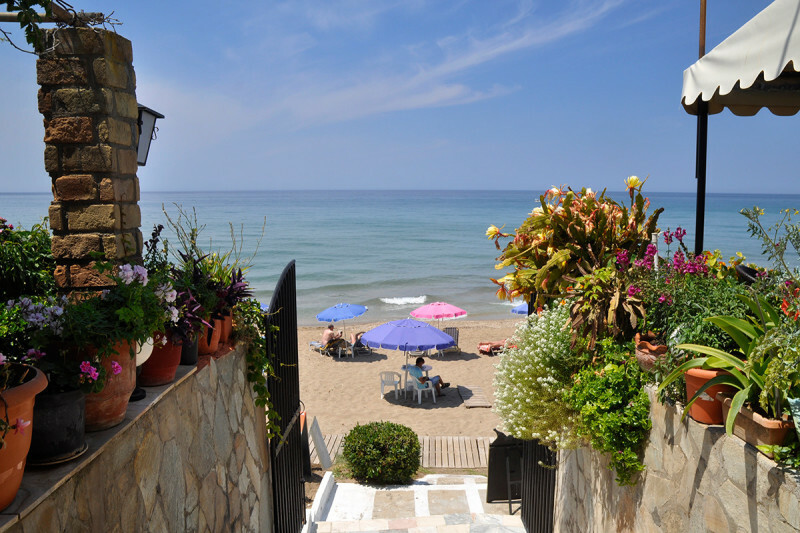 Dandidis Seaside pension in Agios Gordios, Corfu, Greece. 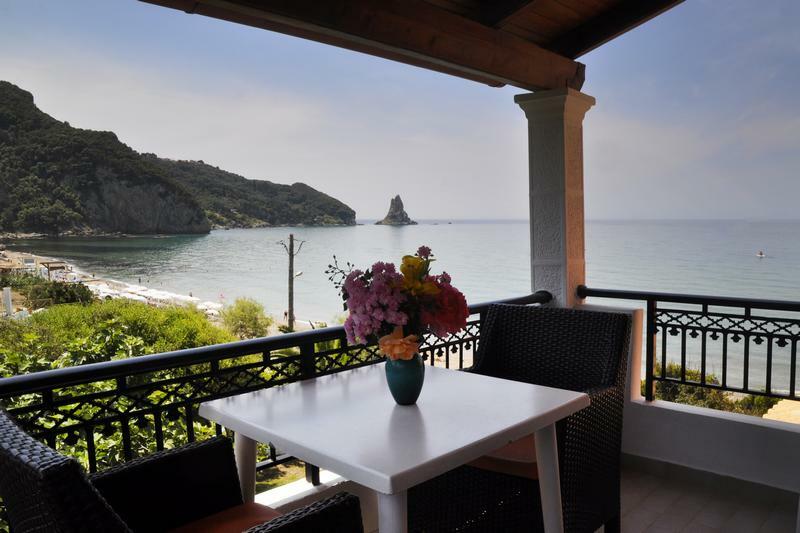 Touched by the Ionian Sea, the Dandidis Seaside Pension in Corfu, Greece, is a beachfront guest house for memorable and relaxing island holidays. 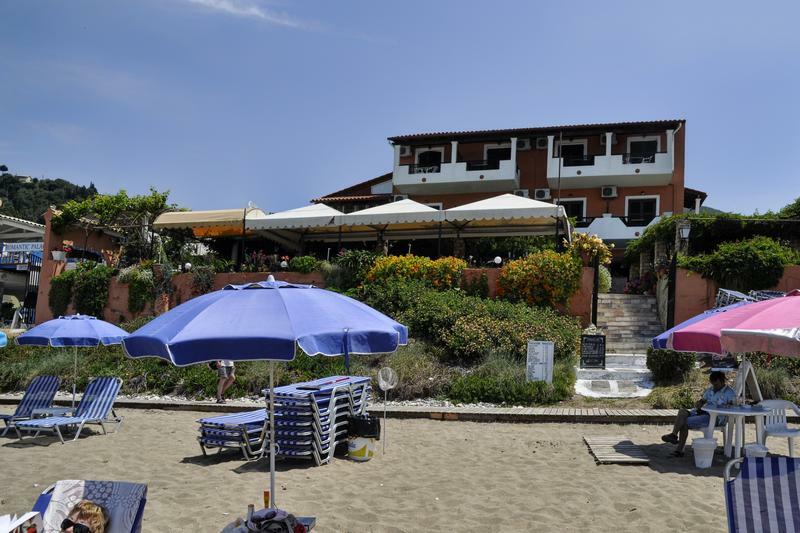 The pension is beautifully situated on the coastline above the most picturesque beach of Agios Gordios offering spectacular sea views. 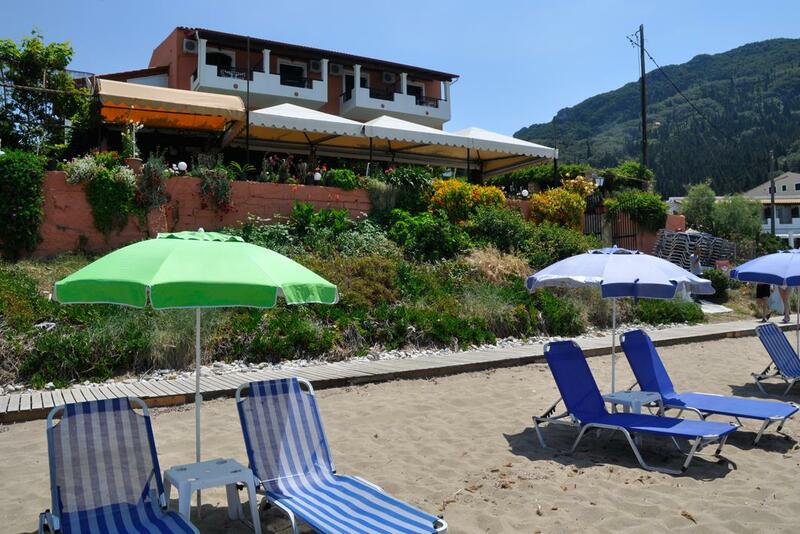 The beach of Agios Gordios is a beautiful long sandy beach (about 1.5 km long), the beach faces west so it captures some of the most stunning sunsets on the island. 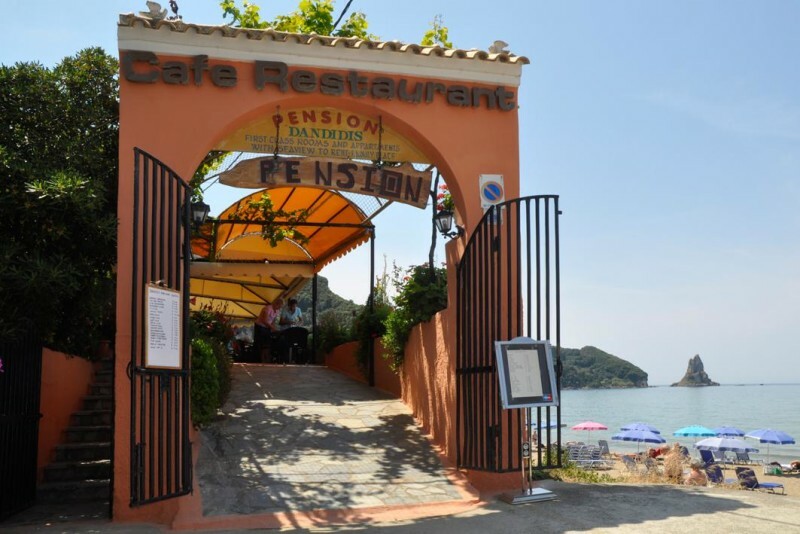 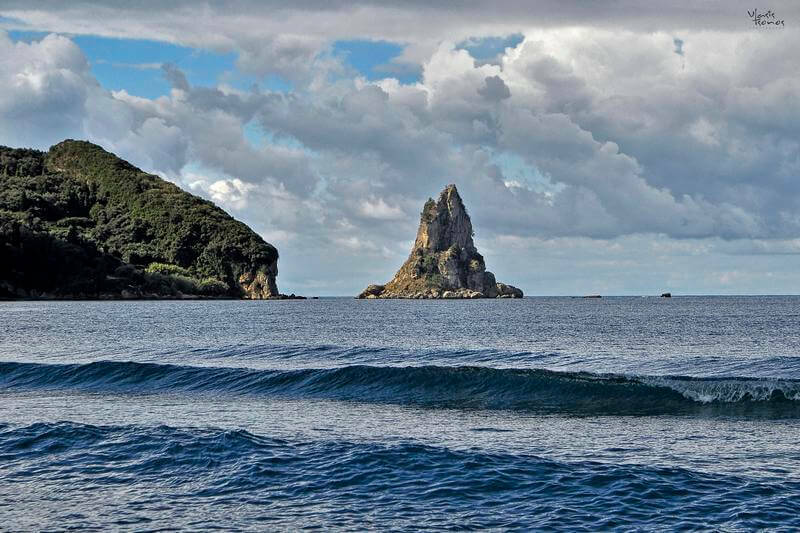 Pension Dandidis is 15 km away from Corfu Town. 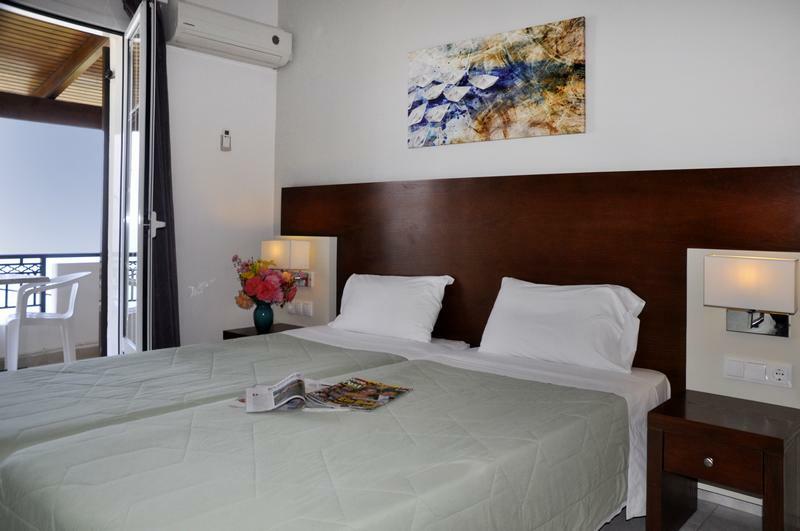 Guests can use the free public parking area, available close by.